[Updated] EA has released additional details on what they will be showing about Anthem at EA Play, including new gameplay, combat, dev insights and more. Mark your calendar. On June 9, 2018 at 11 a.m. PDT, EA PLAY returns with a detailed look at the gameplay of BioWare’s™ upcoming Action-RPG, Anthem™. Here are five things we can share ahead of the stream. 1. A New Trailer That’s right, we’re delivering an unseen trailer that delves into the dangerous world of Anthem. You’ll get a glimpse into the story, characters, and monsters that bring the game to life. 2. 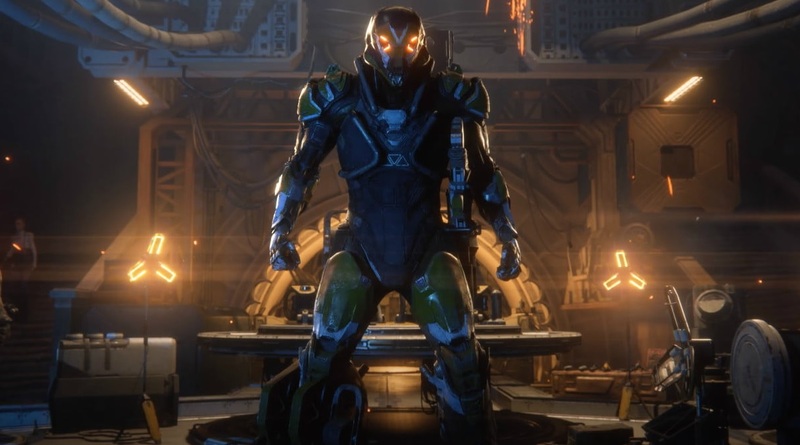 More Gameplay Last year we showed off some of the core gameplay that you can expect from Anthem – flying, fighting, and of course, collecting loot. And this year we’re happy to show off some more. Tune in to see it all. 3. Combat Showcase One thing we’ll be showing in-depth this time around is combat. The power of the Javelin exosuit will be on full display as players take on the most ferocious enemies seen yet. 4. Developer Insights The dev team at BioWare has been hard at work, and now they’re ready to show it off in-person. Hear some of the guiding principles that have shaped the development of Anthem as BioWare General Manager Casey Hudson, Executive Producer Mark Darrah, and Lead Writer Cathleen Rootsaert take the stage. 5. A Look Behind The Curtain Along with hearing from the developers themselves, we’ll be showing off some of the concept and production art of Anthem. You’ll get a chance to see the craftsmanship that has built this incredible world from the ground up. Be sure to tune in right at 11 a.m. PDT so you won’t miss a minute of this momentous live event. [Original story] EA’s UK twitter account has teased the upcoming Anthem E3 2018 trailer with a short video ahead of this year’s EA Play event, which will take place at the Hollywood Palladium. Through the 5-second long video, EA announces that a new trailer for the highly-anticipated title will be released on June 9. “’Something is out there’ – @AnthemGame returns to EA Play, June 9th”, the Tweet reads. EA already confirmed that new gameplay footage for Anthem will be shown off for this year’s E3 event. EA’s action-RPG will release on PC, PlayStation 4, and Xbox One in March 2019.